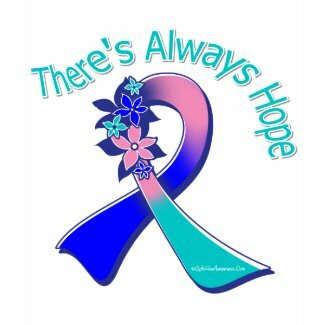 Hold on to the hope with our inspirational awareness collection of There’s Always Hope shirts, apparel and gifts for cancer, disease and health causes featuring an originally illustrated awareness ribbon decorated with flower petals exclusively by GiftsForAwareness.com. 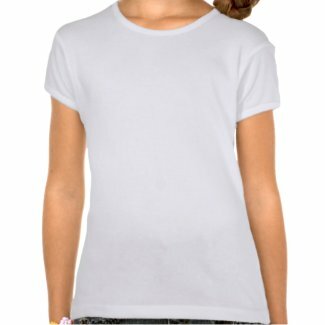 We have this design available for a variety of causes on shirts, hats, bags, mugs, buttons and more. 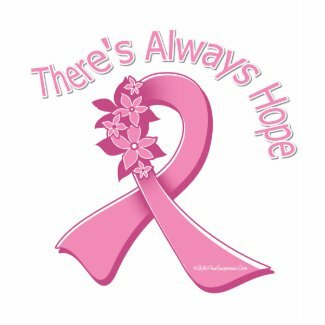 Wear this inspirational slogan to support others who are battling cancer or diseases and to bring awareness to the cause with our line of standout awareness apparel and merchandise for cancer, disease and health causes. 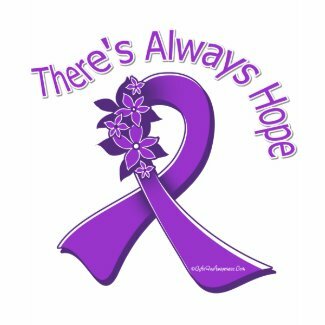 Below we call attention to a number of causes such as Breast Cancer, Hodgkin’s Lymphoma, Thyroid Cancer, Leukemia, Autism and Lupus with this inspirational slogan. 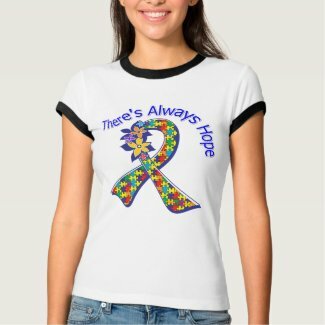 Visit GiftsForAwareness.com to view our vast and complete collection of awareness products.